(Willamsport) — Pennsylvania will redraw its congressional and legislative districts after the 2020 census – and there’s a renewed push to change the rules before that happens. 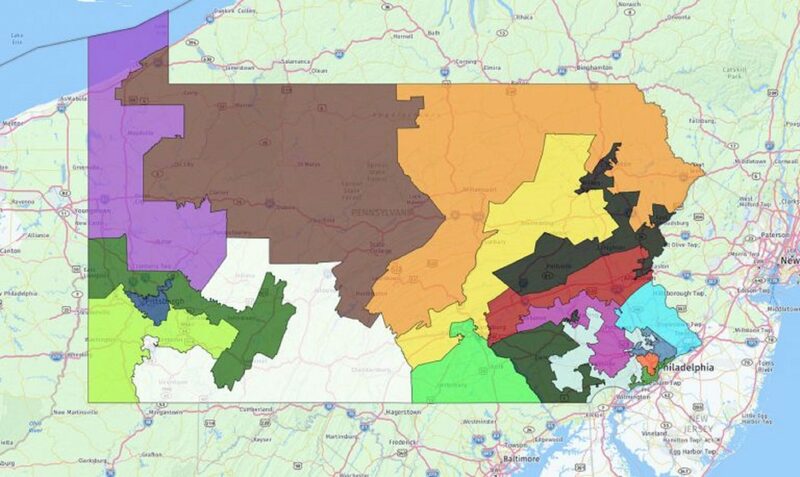 To get voters’ input on creating future congressional maps, the Pennsylvania Redistricting Reform Commission is touring the state for a series of public meetings. The first was in Williamsport Thursday night and drew more than 50 people. “To me, gerrymandering is a gateway into voter suppression,” said Ron Williams, who’s involved with Fair Districts PA.
Williams believes gerrymandering leads to policies that further disenfranchise voters. Congressional districts in Pennsylvania are currently drawn by the legislature and approved by the governor. The last time this happened, in 2011, a map was drawn that many considered among the most unfairly gerrymandered in the nation. Pennsylvania’s congressional map as drawn in 2011. In 2018, it was deemed an unconstitutional partisan gerrymander by the Pa. Supreme Court. Although the state Supreme Court overturned Pa.’s old congressional map and replaced it with a new one last year, the underlying process for drawing maps moving forward was not altered. Gov. Wolf created the commission to propose ideas for how to reform the process. Attempts to alter redistricting rules via a state constitutional amendment failed during the last legislative session. Now, because of the time it takes to change the state constitution, there’s probably not enough time before the next redistricting in 2021, although two state lawmakers are taking another shot. Commissioner Amanda Holt says there might be another way, though. “Maybe there are some areas that weren’t covered under the constitution that could be looked at,” Holt said. 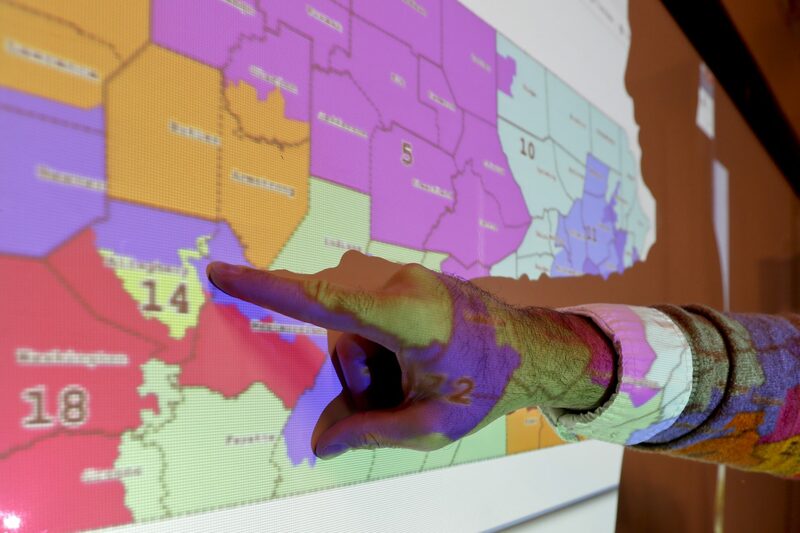 Holt, a Republican Lehigh County Commissioner who successfully sued over the state legislative map in 2011, thinks lawmakers could create quantitative parameters for maps without changing the state constitution. Ron Williams, of Fair Districts PA, testifies at a Pennsylvania Redistricting Reform Commission meeting in Williamsport on April 4, 2019. Holt also hopes the public feedback push – which also includes online submissions – will unearth some fresh ideas. 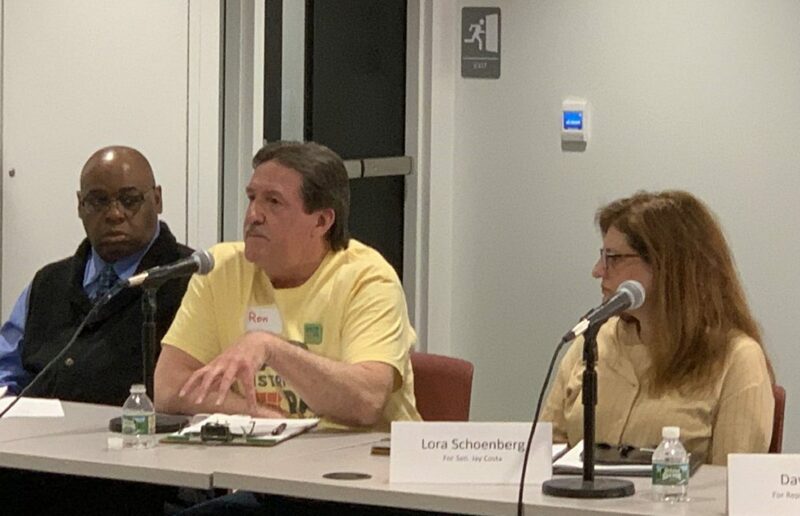 Jordi Comas, a councilman from Lewisburg, which sits on the Susquehanna River in Union County, emphasized that numbers alone shouldn’t determine boundaries. The commission’s findings are due this coming fall. GOP leaders have sharply criticized the panel, named below, for not reflecting all corners of Pennsylvania.